Update: It seems to me that Samsung did clarify this issue saying that this is not a glass-based display, but I'm not 100% sure yet. On October 9th, Samsung launched the world's first device with a flexible OLED display, the Galaxy Round smartphone - with it's curved 5.7" Full-HD flexible Super AMOLED. Strangely Samsung does not refer to this display as a YOUM display, which is the brand name for plastic-based OLEDs they launched at CES 2013. In their PR, Samsung also never mentioned that this display is "unbreakable" - which is one of the biggest advantages of plastic-based OLEDs. 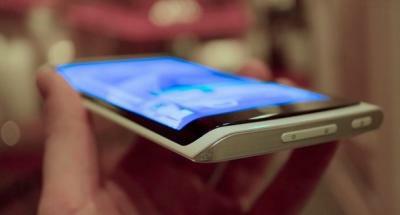 Samsung's design is also much less exciting that the design prototypes they unveiled at CES that used a YOUM display. A couple of weeks ago I thought that perhaps this display uses a glass substrate and not a plastic one, which will explain everything. I checked with my sources and they said that it is using plastic and this is a YOUM display. But now I read in TouchDisplayResearch's blog that their analysts also speculate that this display uses a glass substrate. So now I'm not sure and personally I think Samsung wouldn't have missed the opportunity to announce an obvious achievement such as an unbreakable, durable display. So I now estimate that this display actually does not use a plastic substrate. It's true that Samsung managed to achieve a curved display in a phone, but perhaps this is not quite the technology breakthrough we assumed. Is it glass or plastic? It's hard to say what's going on here. 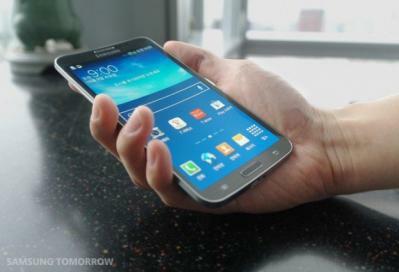 As you know, the first Galaxy Nexus boasted a slightly curved screen without using a 'flexible' OLED, so maybe Samsung has chosen glass. After all, using a plastic-based OLED would probably be more expensive, considering it's a more exotic technology, probably produced at lower yields. Maybe they want to make a move into curved displays (to keep pace with LG), while making do with glass. Then again, it may simply be Samsung is concerned that boasting about the Round using Youm would disappoint consumers expecting a bendy and/or 'unbreakable' phone. Imagine hearing about the 'bendy phone,' then getting a slightly curved device that cracks along the glass cover when you drop it. It may be that Samsung wants to wait until it has enabled something really exciting (shatterproof screens) before it talks up Youm's presence in a product. I look forward to hearing whether this is indeed a plastic OLED product! 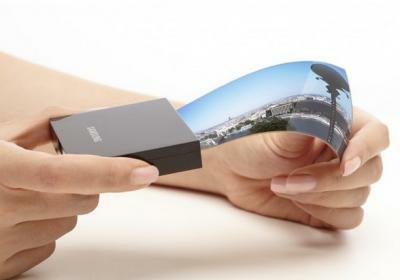 LG Display to start producing flexible E Ink panels on a plastic substrate?